Celebrating the release of the Wild Appalachia and Survival Mode Beta, Bethesda are launching two double XP weekends for Fallout 76 this April 2019. Fallout 76 is currently available to play on PS4, Xbox One and PC. 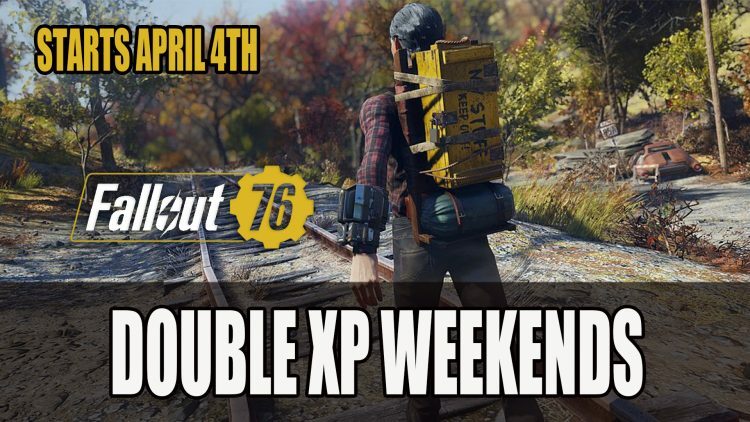 Double XP weekends starts April 4th! If you’re venturing into the Appalachia be sure to drop by our Fallout 76 wiki as it will aid you in your adventure. You can also check out some of our guides including Fallout 76: The Superlative Sniper Build Guide and Fallout 76: The Ultimate Melee Build Guide. You can also read about the new Brewing and Distilling crafting system.